It’s a moment many would have considered completely unlikely just a few years ago. 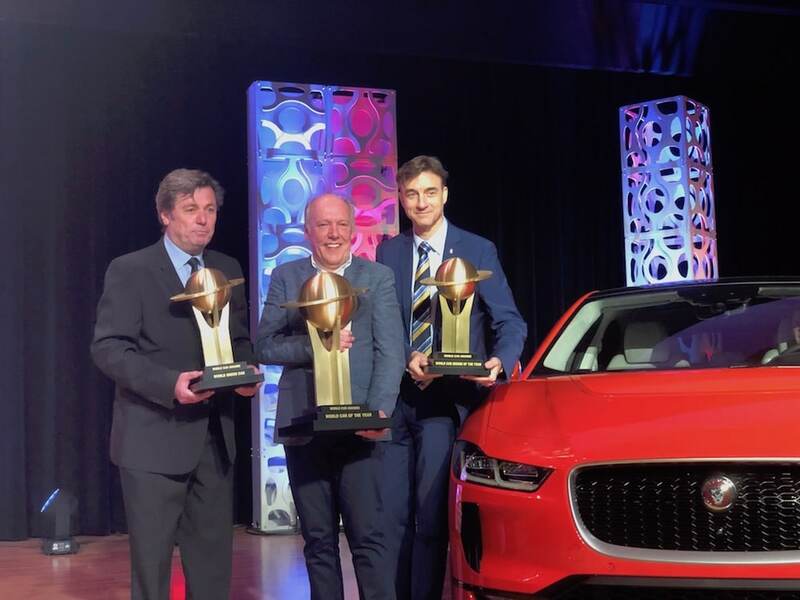 But the strong performance of the I-Pace helped to set the stage for the dramatic transformation of the auto industry that will become readily apparent to anyone attending the 2019 NYIAS. Jaguar serves as the poster child for that transformation. For decades, the automaker steadfastly refused to swerve from its traditional roots, building exotic coupes, sedans and sports cars. Even a station wagon took more than a decade of debate. It was only mid-decade that Jaguar bowed to the inevitable, launching the first of what are now three SUVs. The debut of the F-Pace came at a time when utility vehicles were rapidly displacing conventional passenger cars as the vehicles of choice for luxury buyers. Those three utes now generate the majority of Jaguar’s global sales. But the I-Pace is more than just another crossover, marking Jaguar’s first model to be powered entirely by batteries. Part of the appeal of the Jaguar battery-electric vehicle is the way it takes some of the space normally devoted to a gas or diesel engine and repurposes it for a bigger cabin and cargo compartment. It’s not that the I-Pace didn’t have tough competition in all three categories. For World Car if the Year, for example, it went up against both the Volvo S60/V60 Line, as well as the all-new Audi e-trim. That in itself created something of a historic moment, with two of the three World Car of the Year finalists purely battery powered. Of course, there were also some more conventional choices in other categories. In the World Performance Car category, the McLaren 720S topped the Aston Martin Vantage and the Mercedes-AMG 4-Door Coupe. The Suzuki Jimmy was named World Urban Car, besting the Kia Soul and the Hyundai AH2. And the Audi A7 nabbed the trophy in the World Luxury Car category, beating out the BME 8-Series and a second Audi finalist, the new Q8. This entry was posted on Wednesday, April 17th, 2019 at and is filed under Asia Pacific, Auto Shows, Automakers, Automobiles, Business, China, Crossovers/CUVs, EVs, Europe, Executives, Jaguar, Luxury Vehicles, Markets, NAFTA, New York, Personalities, Sales, South America, U.S./North America. You can follow any responses to this entry through the RSS 2.0 feed. You can leave a response, or trackback from your own site.